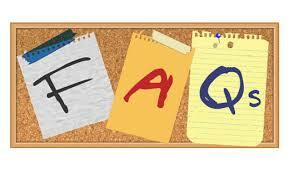 Kindly peruse the Frequently Asked Questions for common queries & their answers. If you have concerns that are not listed here, kindly contact Edupoint and we will help you personally. I just made a payment to a wrong account number by mistake. What shall I do? I’m having problems searching tutors on your website. What shall I do? Just contact us. We will help you shortlist quality tutors based on your requirements. Do you verify the tutor’s qualification? How do I know the tutor’s educational information online is accurate? We have instructed all our tutors to bring their academic certificates for your inspection on the first lesson. In this way you are assured right from the start of the tutor’s credentials. Can I change the tutor if I am dissatisfied? Yes you can but you must to contact us by telephone. Our automated system is not able recognize dissatisfaction. We could make it more intelligent but we would rather help you personally. Call us and our helpful coordinators will help you. Once the tutor is selected, when can the tuition sessions commence? We will get back to you within 2 working days with firm details of your tutor together with a convenient start date and time. You will be able to commence tuition sessions inside of a week from initial contact. You can however call us for express service in certain situations at no extra charge. If I need to speak to a tuition coordinator, is that possible? Yes, absolutely. We still maintain a human face behind our almost machine-like efficiency. You can call us at anytime and our coordinators will gladly accede to your requests. Do I have to pay a premium to use Edupoint? No. We collect a commission of 50% of the full month tuition fee from the tutor, just like a traditional tuition agency. How do I prepare for the first lesson? Absolutely! We will not share your information with a third party. What happens after I have uploaded my tutor profile? Once your tutor profile becomes “live” in our database, clients/students will evaluate your suitability based on the information you provide and initiate “contact”. You will hear from us with more details. How do I upload my tutor profile into your database? The process merely involves entering pertinent details in our Tutor Registration page and clicking “Submit”. It has been proven that tutor profiles uploaded with a digital photo translates into more “hits”. You should therefore try to provide as much details with regards to your education, tutoring experience and of course include a photograph! Do I have to pay a premium to be an Edupoint tutor? No, we charge the standard commission just like most tuition agencies, that is, 50% of the first full month’s tuition fee. How is being an “Edupoint” tutor beneficial to me? Edupoint Tuition Agency is Singapore’s leading tuition services provider. Our mission is to provide effective learning opportunities for students of all ages. Edupoint’s clients and tutors have been with us for many years and this is a testament to our dedicated service and professionalism. Edupoint’s management comprises of former fulltime tutors and ex MOE school teachers and we have a good handle on matters from perspectives of both students & tutors. We understand your concerns! The Frequently Asked Questions listed here are not exhaustive. Let us know if you have specific concerns and Edupoint will be ready to assist in every way possible!